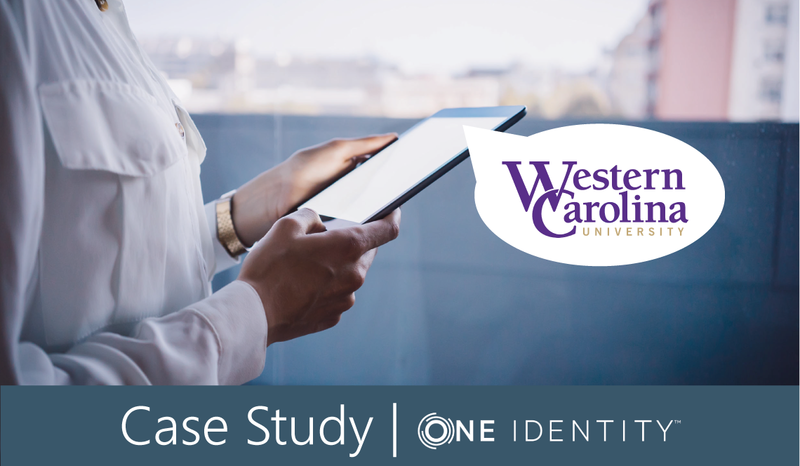 Western Carolina University (WCU) wanted to enhance users’ experience, improve IT security, simplify password management, and save time by boosting user account insight and control. Working with One Identity partner, Immersion Technology Services, WCU now receives 24% fewer IT support calls freeing up 2,000 hours yearly for other tasks. 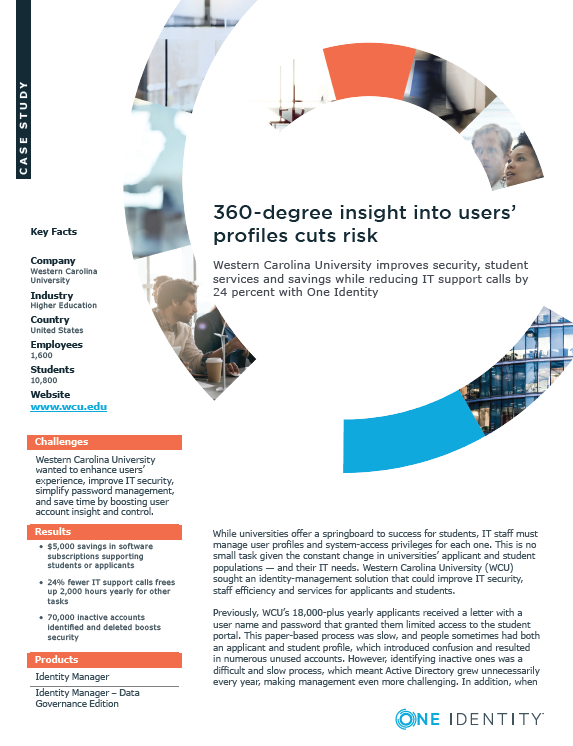 Download the Case Study to learn about the specific challenges the university faced and how Immersion Technology Services implemented One Identity to simplify and help the organization control access.